Work and Play in Seward Alaska! We are located just 2 1/2 hours south of Anchorage in Seward Alaska. 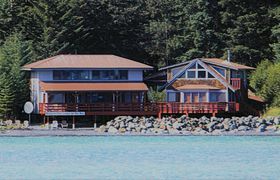 Our Lodge is Beach front on Resurrection Bay, Fishing, Hiking, kayaking just steps away.